PROTECT YOUR HEARING WHILE YOU WORK. Working in construction, manufacturing, and other industries exposes you to large amounts of sound from noisy tools and machines. These modern earplugs will protect your ears while ensuring you can still hear beeps, buzzes, and other important sounds from your equipment. GREAT FOR HOME IMPROVEMENTS, TOO. If you’re repairing, renovating, or remodeling your house, you’re probably using power tools that produce a lot of noise. 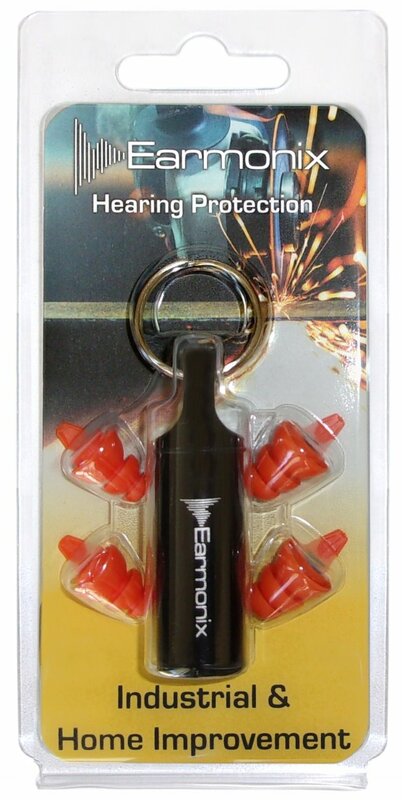 Wearing these cutting-edge earplugs will keep your ears away from damage while you work on your home improvement project. ADVANCED EARPLUG DESIGN. The earplugs are built with an advanced technology membrane filter that keeps noise out while creating an open air passage to your ear canal. 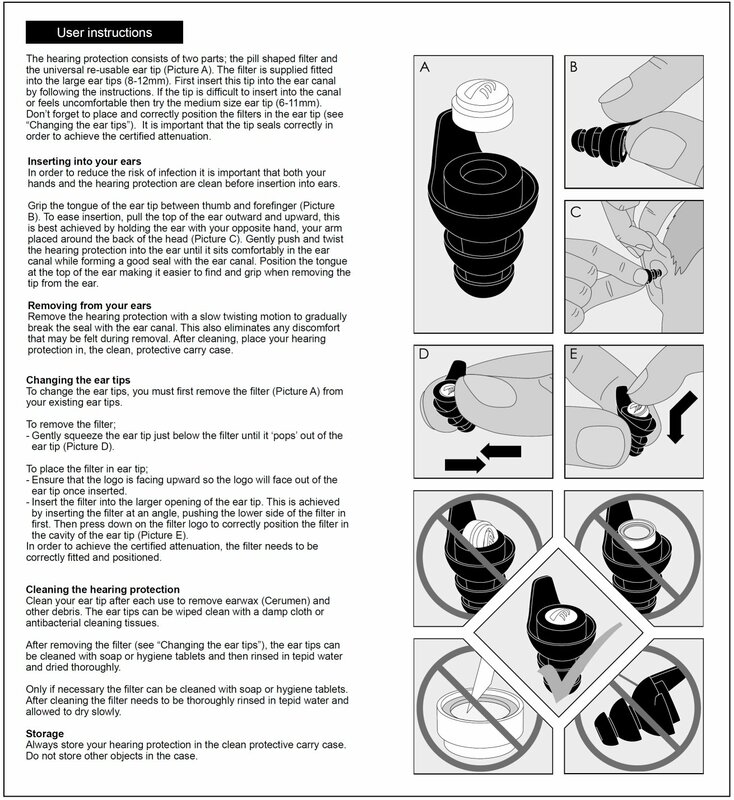 This minimizes the occlusion effected while keeping your ears well-ventilated and comfortable. HIGH-QUALITY MATERIALS THAT ARE SAFE FOR EVERYONE. Made from medical-grade TPE, which is hypoallergenic and reduces the risk of allergic reactions. It also provides optimum comfort and encourages you to wear your earplugs at all times. REUSABLE AND WASHABLE. The ear tips can be wiped with a damp cloth or antibacterial cleaning tissues or even washed with soap and water when needed. Your investment will go a long way since you won’t throw out your earplugs after just one use. BRING YOUR EARPLUGS WHEREVER YOU GO. They come with a special, slim-design carry case that you can attach to your favorite key ring or slip into the pocket of your jeans. It’s a great way to keep your earplugs on hand at all times without carrying a bulky case. 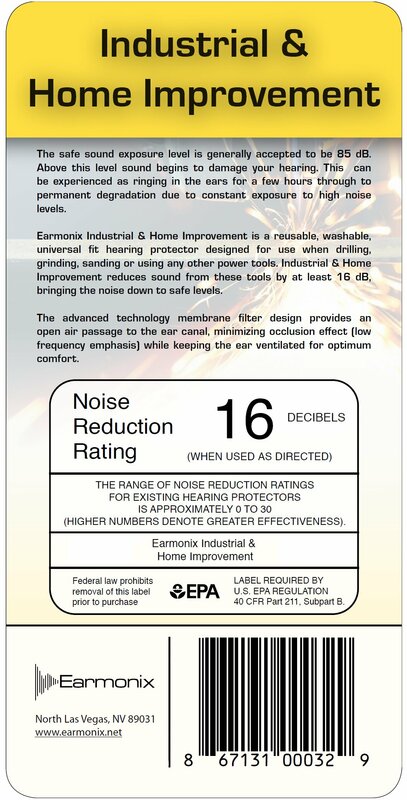 Tools and machinery often produce large amounts of noise that go beyond 85 dB — the safe sound exposure level for humans. If you’re working in the manufacturing, construction, oil and gas, and marine industries, or any other sector, you’ll most likely be exposed to this noise the whole day. This can destroy your hearing over time, leaving you with ringing in the ears (medically known as tinnitus) and eventually permanent damage. Even doing home improvements every now and then can expose you to the risks of hearing impairment, especially when you use noisy tools and equipment. While you can’t avoid working and doing home repairs, you can do something to protect your hearing. 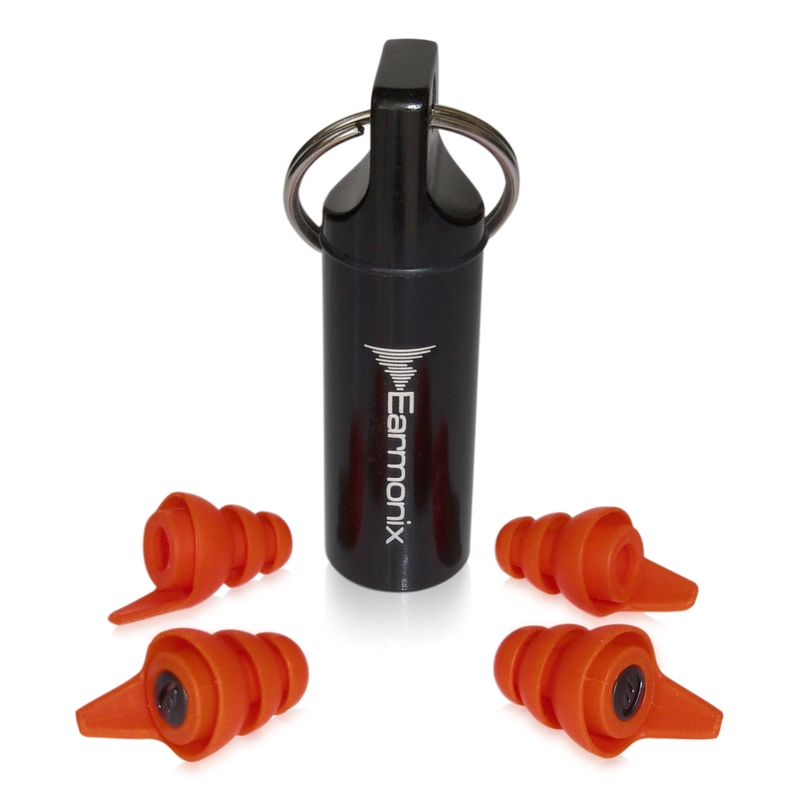 One of the best steps is to use the Earmonix Industrial and Home Improvement Earplugs. These are specially designed to protect people who use grinding, sanding, drilling devices as well as other kinds of power tools. 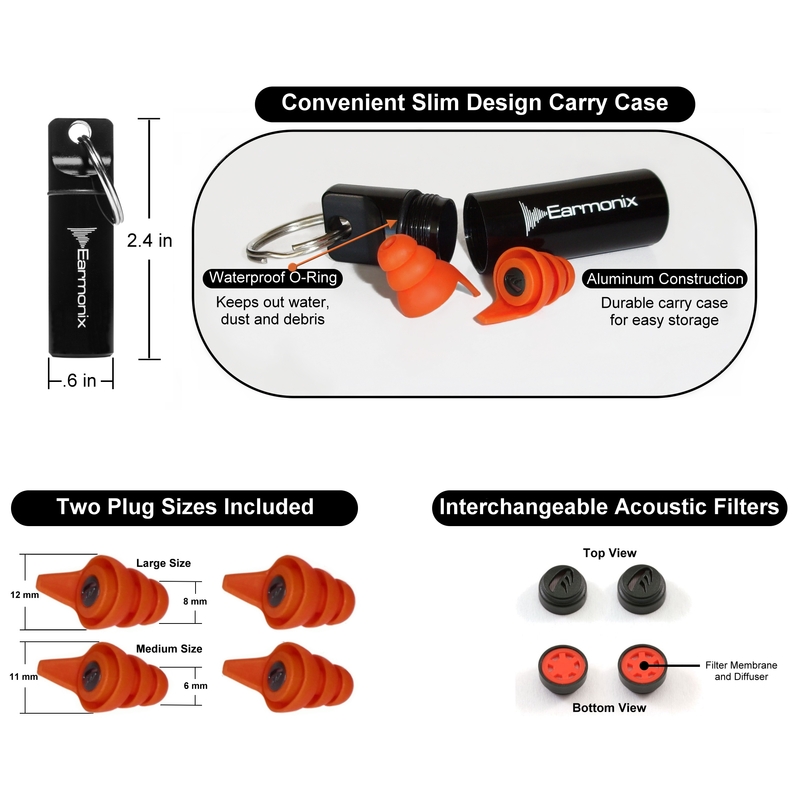 The earplugs sound attenuation is rated at 16 dB NRR and 24dB SNR, bringing loud sounds down to safe levels and protecting your ears from damage. No matter how expensive or advanced a product is, you most likely won’t use it if it feels uncomfortable. 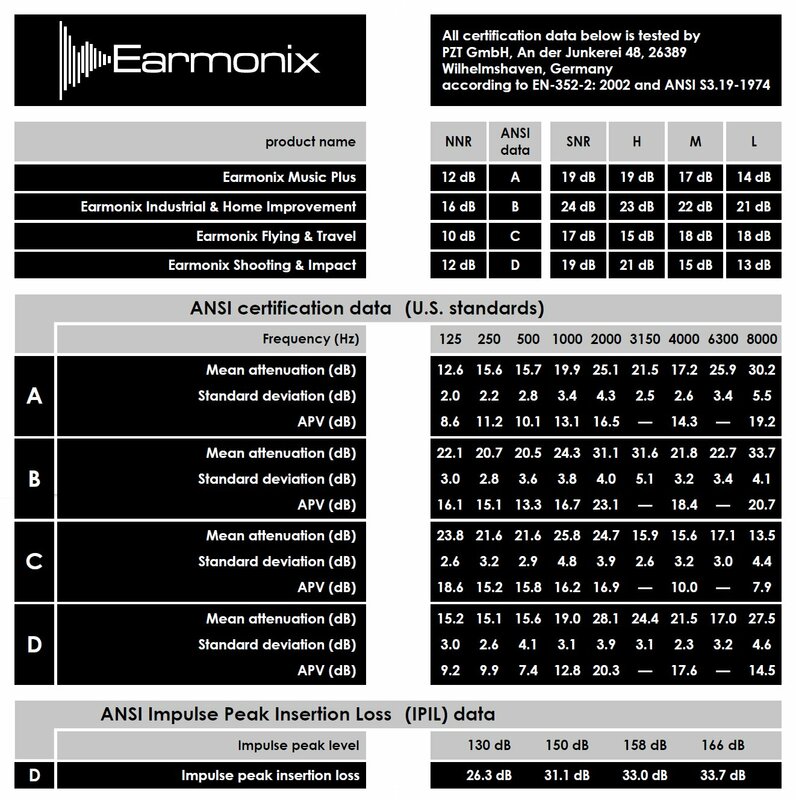 Because of this, the Earmonix Industrial and Home Improvement Earplugs are designed to provide the highest level of comfort to wearers. Their state-of-the-art membrane filters promote open air passage to your ear canals, keeping them well-ventilated and making the earplugs comfortable to wear. The filters also minimize the occlusion effect and ensure that you’ll still clearly hear yourself and other people as well.